A shared bed-blocking target for Northampton General Hospital, the wider NHS and the county council could help free up beds more quickly, the boss of NGH has said. NGH has revealed that last year up to 17 per cent of patients on its wards were fit enough to leave at any one time but could not leave for a variety of reasons, some of which were the hospital’s fault. But many times beds at care homes or support for vulnerable people to recover at home, which is put in place by Northamptonshire County Council and NHS Nene, was not ready. Critics of bed blocking figures have pointed out that the discharge targets are published by hospitals even though - like queues of ambulances - the problem is not all of their making. Dr Sonia Swart, chief executive of NGH, said patients would benefit if all organisations were jointly accountable for one bed-blocking target and had a single regulator. She said: “There was a joint plan last winter, for example, to reduce delayed discharges per day from about 80 to 18. This week they have been running at 100. “The question is, is that a target people are prepared to hold people to account over? It’s just a question. 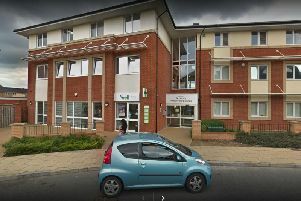 Northamptonshire County Council said local authority ‘delayed discharge’ targets do exist, although they are not easily discovered on the Department of Health’s website. Dr Swart said: “They don’t exist in the same way as for hospitals. They may be more of a guidance. “I can tell you on an individual day what we have achieved in terms of A&E targets or by week on other targets. And if we don’t keep this flow going we’re storing up a big, big problem. Dr Swart said she would like all partners to be scutinised equally on discharge figures. She said: “The question is how do we all own this one in a way that’s built on mutual respect, trust, ownership and accountability. And does that feel balanced at the moment?